The apartment is located in the centre of Nice, close to the famous Hotel Negresco, the Promenade des Anglais and the beaches. This smart apartment has been professionally restored throughout to the highest standard. All the furniture and furnishings, and kitchen appliances are brand new. The living room is airy and bright with the original marble fireplace and oak parquet flooring. There is a CD/tape player/radio, DVD player and a television. There is a Moroccan hand-carved sofa which seats two, 2 leather easychairs, and dining table and chairs. The kitchen is fully equipped with all mod cons. There is 1 double bedroom and 1 twin bedroom. Each has fitted wardrobes and original marble fireplaces. There is also a single fold-up bed with a proper mattress. This can be set up in the lounge, thus give 3 separate sleeping areas if needed. Find out more: To get more details and photos on this property; please contact us for a link to our website. Bookings are on a weekly basis. Shorter lets may be available upon request. The bathroom has a window and is well fitted with bath/shower facility and wash hand basin. There is a washing machine, and a hairdryer is provided. The separate toilet has a window and a wash hand basin. The bathroom and toilet can be accessed at any time of the day or night without disturbing the other occupants. Hairdryer, iron and iron board provided. Change over day is Saturday. However, a different day may be arranged depending on availability. The apartment has a minimum letting period of 1 week. However, a shorter let period may be possible depending on availability. We loved staying in this lovely flat in central Nice. The flat was spacious, clean and comfortable. It's in a very convenient area - walking distance to station, old town, beach, and even the supermarket is just across the street. The hosts were efficient and extremely helpful. Also, top tip - number 23 bus goes from airport to the building's door. We would definitely stay there again I'm the future and highly recommend it to others! I recommend it with pleasure! Thank you Tony for everything! un vieil appartement, proche de la mer, des commodites, et très propre. Mais des objets de première nécessité manquent : pas d'égouttoir à vaisselle, pas d'étendage, pas de machine à café ! une bouilloire pleine de dépôts calcaires ! et j'en passe. Le bruit durant la nuit dans une des chambres empêche de dormir. Attention si vous possédez une voiture vous devez réserver une place de parking dans un des parkings de la ville.Pour nous le plus pratique est le parking Grimaldi, il y a de nombreux bus à proximité. L'appartement est spacieux, propre est c'est un plus. 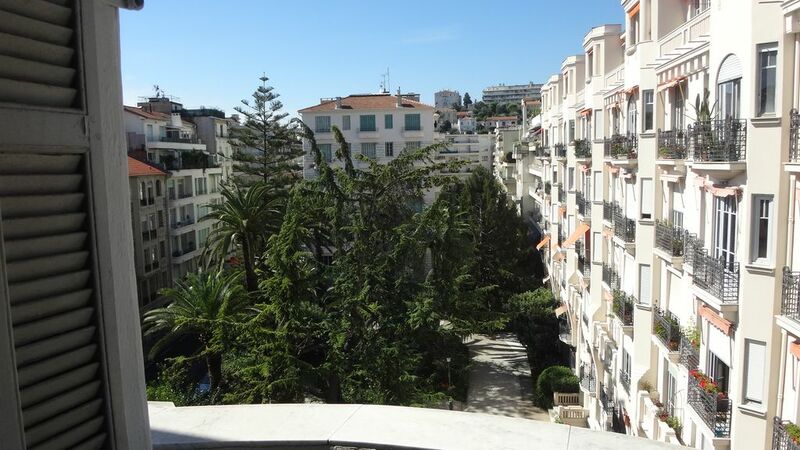 This town apartment is situated in a quiet street, just 3 blocks (about 300 metres) from the Promenade des Anglais and the beaches, and just 500 metres from the famous Hotel Negresco and the Palais Masséna. La Cité de la Buffa, the biggest covered market in the centre of Nice is only 50 metres away. The pedestrian shopping streets, with elegant designer boutiques, are within a 10 min walk. A well connected public transport system makes all resorts on the Cote d'Azur within easy reach.